In my last post, I mention that “14” is not auspicious number for my stock count. It means “going to die” in Mandarin. Since then, I added 3 more stocks. Asian Pay TV Trust - First biz trust in Asia focused on pay-TV businesses of cable, digital TV and broadband. Seed-asset is Taiwan Broadband Communications Group. Buy call; strong trustee manager “Macquarie”, low PE 12.4 (competitors 12-17), yield highest at 11%. PB 18% discount, Price 0.75 at lower range (0.72-0.97), stable cash flow, growth driven by digital TV segment, sole operators in areas it operates in. Temasek recent share purchase makes it the largest shareholder with 7.5%. Risks includes strong new-entrants competition in Taichung. Results 1Q14 yesterday reaffirming DPU of 8.25c close to 11% yield. AIMS AMP Capital Industrial REIT - Comprise of 25 industrial properties all in Singapore, although recently acquire 49% of Optus centre in Sydney. Buy call; Strong trustee manager. 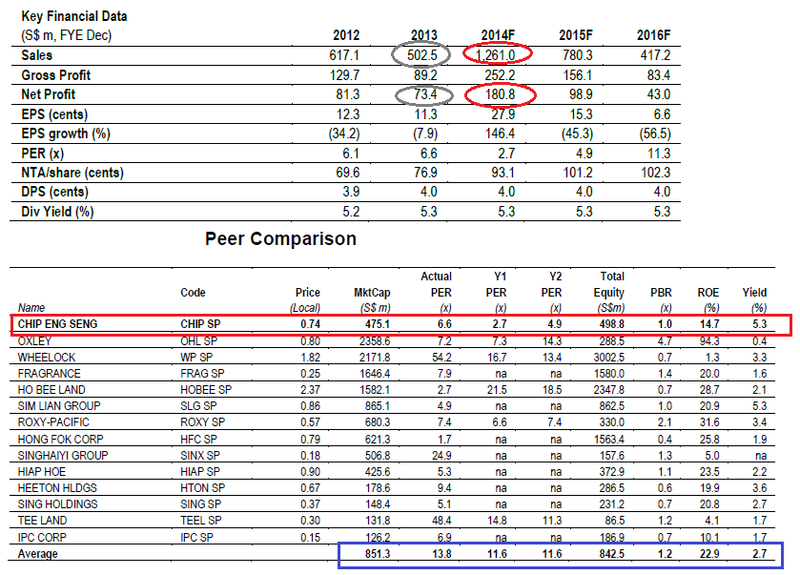 One of the highest yield >7% industrial REITs with a lower PB 0.97. Properties lease expiry average > 30 years. Growth from existing developments of 20 Gul way (2H15) and Defu Lane (2H2014). No debts for refinancing until Oct 2015. Manageable gearing below 35%. Recent 100m rights proceeds for more acquisition and redevelopments, but account for dilution risks. 4Q2014 results here. DPU increase but yield diluted by Rights from 7.7% to 7.4%. Chip Eng Seng – Construction and property group in Singapore, Australia and SEA. Main contractor for Duxton – tallest public housing. Buy call; Strong construction orderbook S$520m. Comfortable PE 6x, attractive and stable yield of 5%. 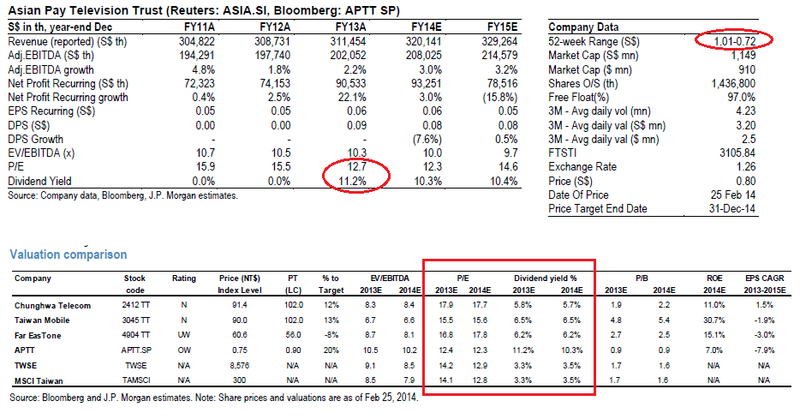 Record top/bottom line S$1.2b/180m (240% incr) in Y14 vs 13. Australian property still strong. Growth from Hotel in Alexandra SG in Mid-15. Strong ROE 28.5% and ROA 12.1% Y14F. Also attracted by its diversification from construction to property development in 55-45% rev contribution. Risk includes interest rate increase and property rules changes in SG and AUS. I will likely add one more stock this month to make it “18” - meaning “going to be rich” in Mandarin. 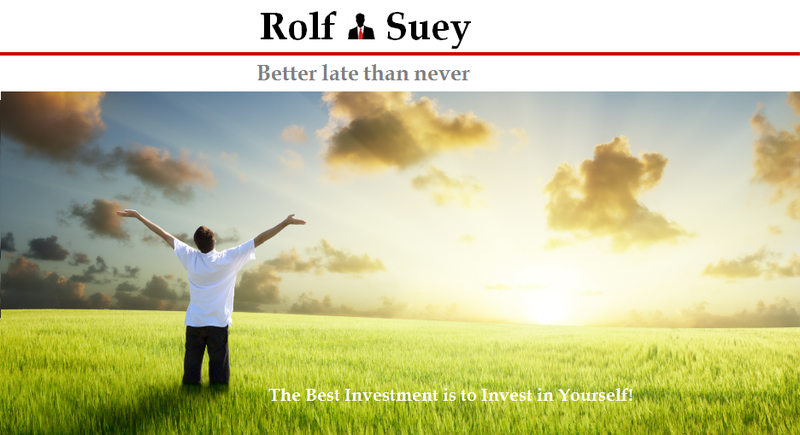 It is an informative post, covering all the important facts that a trader can utilize to trade in Asian Stocks..